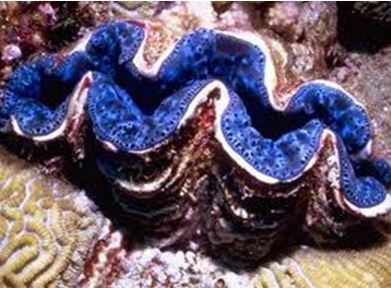 Bohol could be leading all other provinces in the country for coming up with a new hatchery for giant clams. 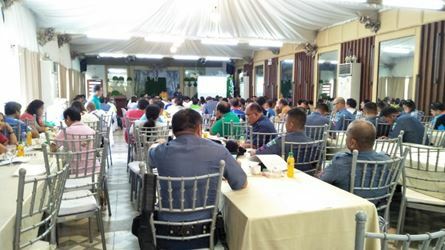 Socio Economic and Environment Management Cluster Liza Quirog, who also sits as the Provincial Agriculturist claimed this in front of the gathering of fish wardens, police environmental officers, coastal law enforcement council (CLEC) members and local officials gathered for the 2018 Annual CLEC General Assembly inside the Pavillion of the Panda Tea Gardens and Suites, Dao, Tagbilaran City. Quirog, who took over in presiding the gathering in lieu of CLEC provincial chairman Governor Edgar Chatto, added it would not however be something new, as Bohol has consistently led the pack in innovations among local governments. CLEC has been Bohol’s response to coastal law enforcement as it remains one of the most daunting challenges of resource management for local government units (LGUs) depleting valuable resources and making campaigners lose steam. Decades back however, the campaign against illegal fishing in Bohol is made more efficient at lass costs with LGUs sharing resources and information through an inter-LGU, multi-agency, multi-sectoral CLEC. After the national government empowered LGUs to manage their own resources, illegal fishers here have always evaded apprehension simply by moving from one town to another. As their activities hold enormous negative impacts on the coastal environment including lessening fish catch, destruction of marine habitats, loss of income of small-scale fishers, expensive fish prices and fewer marine products, the Provincial Government of Bohol, supported by CRMP, called all fishery stakeholders to a Coastal Law Enforcement Summit in 2000. This was to discuss and identify solutions to the illegal fishing problem. The common conclusion: illegal fishing can be more effectively addressed through coordination and an integrated approach to coastal law enforcement. This pushed for the creation of CLEC in each of Bohol’s three congressional districts, a move which now expanded to cluster of contiguous coastal towns. And just as the collaboration between municipal governments improved in terms of resource sharing, the annual training and sharing of information allowed law enforcers and prosecutors and judges to be more technically equipped to handle cases involving violations of coastal laws. This year, the CLECs, summoned by Executive Order No. 1, series of 2015 which strengthened and sustained monitoring and protection of Bohol coastal resources by institutionalizing CLEC, as part of its sustaining mechanisms for effective implementation, members gather to discuss accomplishments and challenges. CLEC members also shared initiatives and best practices, especially in enriching coastal ecosystems and increasing fish stocks. Just as local communities adopted marine protected areas assess their fishing areas in a bid to fast track rehabilitation of the depleted resources, the idea of seeding the MPAs with giant clams came naturally. Giant clams or the Hippopus and Tridacnagigasspecies are believed to play a wide range of ecological roles in coral reef ecosystems, according to then Bohol CRM coordinator AdelfaSalutan. Marine biologists have seen how giant clams’ tissues become food for a wide array of predators and scavengers, while their discharges of live zooxanthellae and gametes are eaten by opportunistic feeders. Their shells provide substrate for colonization by organisms that live on its surface while other organisms and ectoparasitic organisms thrive within their mantle cavities, increasing the topographic heterogeneity of the reefs, as they act as reservoirs of zooxanthellae (Symbiodinium spp. ), and those that potentially counteract eutrophication via water filtering. Scientists also stress that dense populations of giant clams produce large quantities of calcium carbonate shell material that are eventually incorporated into the reef framework. Found to be endemic to Bohol waters as proven by the presence of giant clam shells, these clams were over harvested to extinction in these waters, Salutan added. First seeded in five marine sanctuaries: Bingag in Dauis, Basdio in Guinduman, Badiang in Anda, Sinandigan in Ubay and Lipata in Carlos P. Garcia, the giant clams sourced out from a facility in BolinaoPangasinan, is now being hatched at the Bureau of Fisheries and Aquatic Resources Multi-speciaes Hatchery in Sinandigan. Quirog told CLEC members that the Provincial Government has sourced out a giant clam hatchery spawning tank and larval rearing, phycology laboratory for algal feed to the clams, and water pumps with aeration and filtration systems. Said to be operational soon at the multi-species hatchery that also hatches grouper, pompano, siganids, prawn, mussels, abalones and blue swimming crabs, the giant clams to be produced here would be seeded in well managed marine protected areas all over Bohol.